A4 box of 25 Sheets. 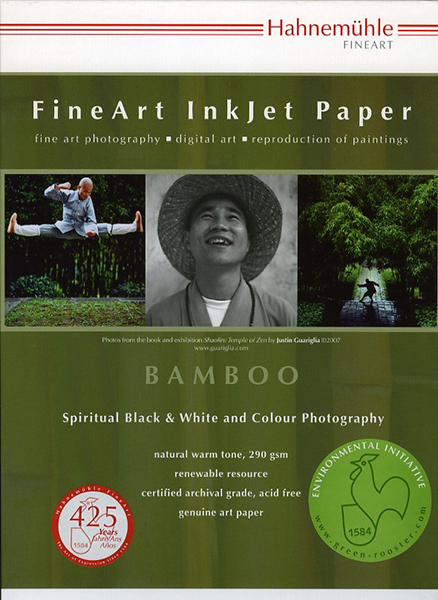 Bamboo is the world’s first digital fine art inkjet paper made from bamboo fibres. Bamboo represents spirituality, naturalness and resource-saving paper production. Particularly suitable for warm-toned colour and monochrome prints, Bamboo really highlights the sensuality of images.